You can never start ‘em too young. That adage applies to many vocations, though this writer disputes that “wine” should be included. Case exhibit one is seated on her mother’s lap, the five or six-year old whippersnapper invited to nose a glass of La Lagune. Without hesitation the girl grabs the stem, but instead of swirling and inhaling, she spontaneously tips back the glass and takes a good slug. Is she on the path to a life of insobriety or enlightenment? I think the latter. Her mother whisks the glass away before her daughter takes another gulp and the infant oenophile looks aggrieved. That’s enough wine education – it’s barely nine in the morning. Go and play outside. Without disrespect, my morning visit to La Lagune was most memorable, not for meeting Caroline Frey or the vertical tasting. No, it was the indefatigable ball of energy that is Caroline “junior”, with her long blonde hair, cheeky smile and unquenchable inquisitiveness. Later, as I taste the 2005 La Lagune, squeals of delight are audible out in the courtyard as she enjoys a kick-around with Caroline’s assistant. 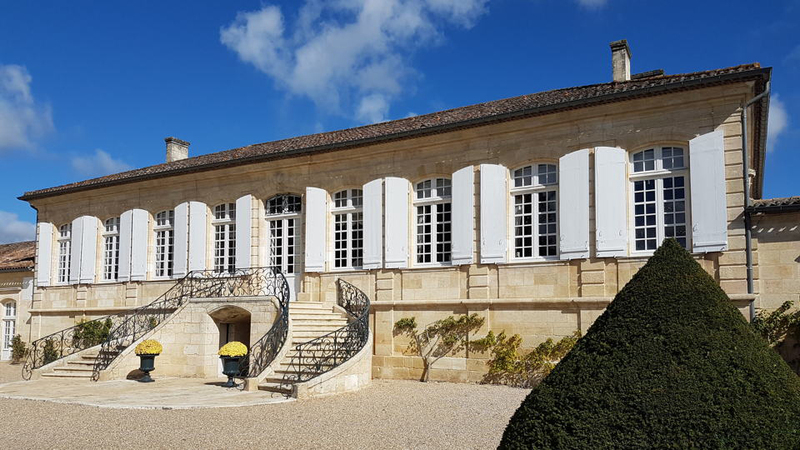 Struck by the infrequency of that sound in these parts, where many Grand Cru Classés are no longer family-owned, I rack my brain and think of the last time I visited a Bordeaux château where I heard that sound. It was a long time ago. The etymology of the name might derive from the French word for lagoon, though this is inexplicable given that the estate lies at one of the highest points in the vicinity. Maybe the name refers to some geographical feature along the estuary marshes that since disappeared? It’s roots lie with the Seguineau de Lognac family. Various members owned the estate during the 18th century, where on this site, a Carthusian monastery was built at the end of the 17th century. In 1815, Abraham Lawton opined that its wine’s reputation was “exaggerated” in response to a price increase as its popularity soared in Holland. After Jouffrey Piston, an affluent landowner from Périgord, bought the estate in 1819, Lawton revised his view and acknowledged that the wines had improved. That is attested by its inclusion with 1855 classification as a troisième cru. Haut Brion apart, it is one of only five Grand Cru Classés outside the communes of Saint-Estèphe, Pauillac, Saint-Julien and Margaux (pop quiz: can you name the other four?) After Jouffrey died, his son inherited the estate and eventually sold in 1898 to Louis Sèze for 340,000 Francs. In 1911 it passed into the hands of his son-in-law, Albert Galy, but like so many Bordeaux properties, it suffered malaise during the 1930s when poor vintages and dwindling demand saw the 50-hectare vineyard wither to nub of under 10 hectares by the end of the 1940s, then flirted with extinction when it contracted to four hectares by 1954. It was just after this that agricultural engineer Georges Brunet bought the dilapidated estate, doubtless for a knockdown price. Unlike previous owners, Brunet had money, and from 1958, two years after the devastating late spring frosts, he embarked on a program of reconstituting the estate with new vines, purchasing an adjacent land known as “Petit La Lagune” and renovating the winery. This included a system of mechanically transferring the wine from vat to barrel and then barrel-to-barrel, known as “Téléflex”. At the time it was ahead of the curve, though perversely now at odds with the current mantra for eschewing mechanical transfer entirely. He also changed the name of the wine. Up until this point it was known as “Grand La Lagune” but henceforth he dropped the “Grand”. “Georges Brunet is the person who really saved La Lagune,” Caroline asserts. “There were only a few productive hectares of vineyard. He was not able to keep the winery for a long time because of the investment he made and sold it to a family in Champagne.” That is true. After his divorce deprived him of income, Brunet was forced to sell the property in 1962. That must have been a wrench given all his efforts, though he did not give up winemaking entirely, moving to Provence at Château Vignelaure. La Lagune passed into the hands of René Chayoux, whose family owned the Ayala Champagne house. The property was still not in good shape, prompting Alexis Lichine to describe René as “crazy” for committing to his purchase. Aside from continuing the replanting of abandoned parcels of the vineyard, Chayoux installed 26 epoxy-lined metal vats and gave the cellar a lick of paint. The wines up until 1964 were made by régissuer, Mon. Boirie [or Boyrie], after which his widow Jeanne continued to oversee the estate up until 1986. By all accounts she was a redoubtable woman and looks headmistress-like in a photograph depicted in Hubrecht Duijker’s “The Great Wine Château of Bordeaux”. The baton then passed to Jeanne’s daughter, Caroline Desvergnes. The change in ownership to Frey family transpired a number of years later. 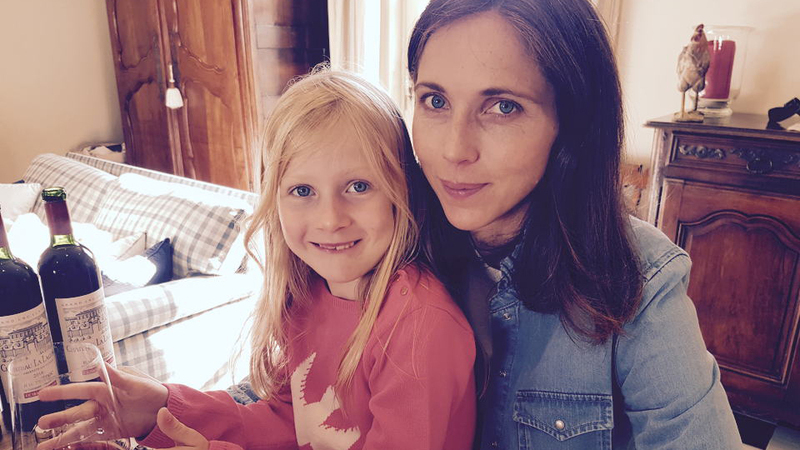 Caroline’s childhood was spent growing up in the Champagne region and pursuing her love for showjumping rather than wine, competing as part of the French national team. It was later that she acted upon her calling as a winemaker and began learning her craft. “I finished my oenology studies in Reims and then I was a stagière at Château Reynon,” she explains. “I made the 2002 Reynon Blanc and 2003 Reynon Rouge. I stayed there for six months. It was really the first time that I lived the life of a vigneron, something I had never experienced before. Denis [Dubourdieu] was always asking questions. He always asked why something was happening. His approach really interested me, especially working in the vines, so that there is little to do in the winery.” Caroline took over the management of La Lagune in 2004 at the tender age of twenty-four. In the meantime, the family also purchased Château de Corton André in Burgundy as well as being shareholder in Billecart-Salmon. Since then, La Lagune has undergone a long-term total conversion to organic viticulture and investments continue to be made. It has also become a château that is most welcoming for visitors when many estates seem reluctant, a savvy move considering that it is close to the city that is fast-becoming a tourist mecca. La Lagune is the first major Bordeaux estate that you encounter as you drive north on the D2 out of Bordeaux and up through the Médoc. On the corner by a roundabout outside Ludon, in front of a glade of trees, one finds its grand wrought iron gates bearing the property name, though the actual entrance is around the corner. It is a large property, even by Bordeaux’s standards, just over 150 hectares with some 80 hectares under vine. The winery itself is housed in the modern-style buildings closest to the iron gates. The original château is tucked away behind. Completed in three parts in 1720, 1728 and 1734, it is an elegant one-story neo-classical chartreuse with an ornate balustrade at the rear. It was designed by Victor Louis, whose resumé also includes Château Margaux and the Théatre de Bordeaux. There is quite a swath of parkland that surrounds the buildings, enough to convert part to a nature reserve designed to enhance biodiversity, particularly in terms of bird conservation. The vineyard is located on a gravel croupe, and the soil is a mixture of gravel and sand flecked with white stones. It comprises around 60% Cabernet Sauvignon, 30% Merlot and 10% Petit Verdot. Caroline opines that the Petit Verdot can render the wine a bit vegetal and animally with age and so in the future, the Grand Vin may not include that variety. The vinification is straightforward and takes place in a capacious vatroom constructed in 2004 and designed by architect Patrick Baggio. The stainless steel vats are arranged in a semi-circular/horse-shoe fashion using gravity to feed the vessels instead of pumps, hydraulic lifts used to transport the fruit to the upper level. Currently the estate uses up to 5% pressed wine in the blend, which undergoes cold-soaking and also selected yeasts to start the alcoholic fermentation. Caroline expressed a prudent approach to extraction, citing Denis Dubourdieu as an influence, conducting more a maceration than extraction to obtain similar tannins, but with a different texture. Malolactic fermentation is undertaken in tank rather than in barrel. Since 2000, the Grand Vin has been matured in 50% new oak from several cooperages, the remainder one or two years old. A second wine, “Moulin de La Lagune,” was introduced in 1998, followed more recently by a third label. I would suggest that La Lagune occupies a curious place with cognoscenti’s mental hierarchy. It is embodied within the 1855 classification, the third tier no less, and therefore it nests comfortably within the Grand Cru Classés. Yet being outside the boundaries of familiar communes such as Pauillac or Saint-Julien, La Lagune is perhaps unfairly cast as somehow inferior or dare I say, fortunate to have been included in such auspicious company. Then there is its geographic location, so far south of the epicenter of quality up towards the Saint-Julien/Pauillac axis, as if the further away you are the less propitious the terroir. Also, there is the lack of back vintages to seal its reputation, no postwar glories to substantiate its credentials and act as salient reminders of its potential when its wines suffered a poor patch. Of course, all these are moot points when assessing the quality of La Lagune nowadays. I am simply reasoning why La Lagune might attract fewer kudos than its peers. The reality is that La Lagune occupies the first serious patch of top-class terroir as you drive north through the Médoc. Walking around the vineyard, the gravel croupe is no different to those in Margaux or any other commune. The vines are tended to with the same meticulous level as you will find elsewhere. Perhaps what this vertical tasting did prove that quality really improved when the Frey family acquired the estate in 1999. Readers can peruse the individual tasting notes themselves, but let us take a brief journey through the last half-century. I have included additional tasting notes from bottles in my own cellar. In my early professional days when I did not have two pennies to rub together, I used to buy a lot of La Lagune. Back vintages were as cheap as chips and constituted a perfect way to learn about mature claret. Recently I pulled out a 1962, 1970 and 1971. The 1970 was the finest of the three, and the 1962 testified a wine that I suspect impressed in its formative years, but has since faded. The tasting at the château commenced with the 1964 La Lagune. I asked Caroline if they have a library of older vintages. “When my family arrived in 1999, we were surprised that the previous proprietor had sold a lot of older vintages,” she answered. “The oldest bottle I have drunk is a 1909 from Bern’s Steakhouse in Florida. They sent an e-mail saying that they had ten bottles and whether I would like to exchange.” Not renowned as a Left Bank vintage, the 1964 was a pretty decent showing, perhaps picked a little earlier than estates further north, enabling partial harvest prior to the rains dashed hopes across the Médoc. Older vintages were fine if not exceptional, reflecting their respective growing seasons but rustic and big-boned, lacking the finesse that you find nowadays. 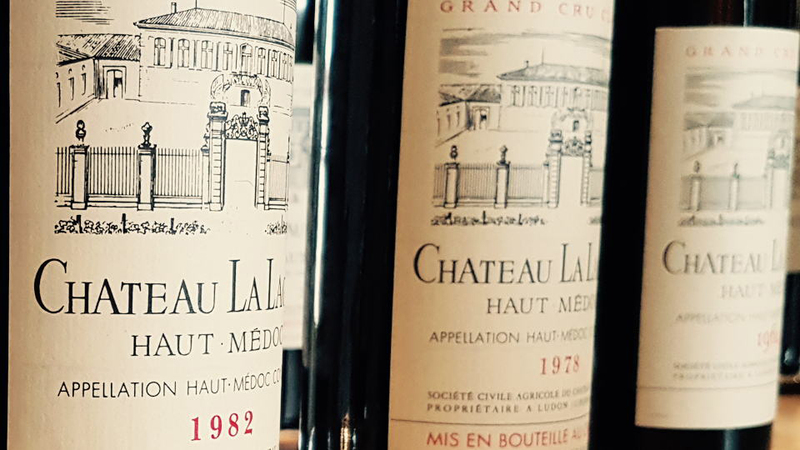 In favorable years La Lagune performs well, the 1982 and 1986, made when a higher percentage of new oak was employed, both continue to give pleasure and reflect their growing seasons. My personal pick is the 1990 La Lagune, where its rusticity is countered by the precocious fruit of that warm summer. The 1990s ought to have seen La Lagune build on its reputation however, when other estates were investing in their vineyards and wineries, it languished behind. This is where its status and reputations suffered. Perhaps it was simply a lack of T.L.C. by then proprietor Ayala for reasons outlined above. They were just too focused in Champagne and allowed La Lagune to muddle through the decade. This is evident in the wines. 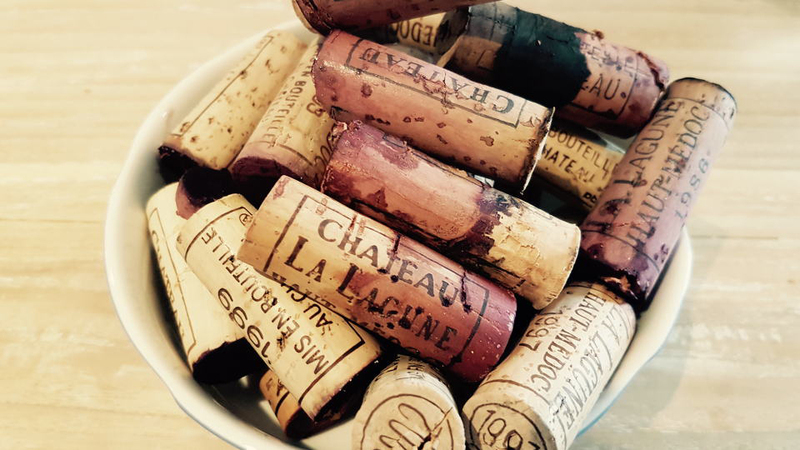 Nothing from the early 1990s was shown but the 1995 and 1996 La Lagune are disappointments: lacking freshness and fruit, notwithstanding that they appear to have lost much of their vigour with age. I got the impression that during this era, if the wines did not achieve full phenolic ripeness, then it was compensated by chaptalization in the winery, akin to sticking a plaster over a wound that won’t heal. It is a surprising vintage that indicates a turnaround in fortunes. Readers will know that I am not a massive fan of the 2003 in the southern Médoc, however, the 2003 La Lagune avoids over-maturity and is bridled with much more freshness than I presupposed. That is partially down to more careful management by the Frey family and partly because of the appointment of the late Prof. Denis Dubourdieu. This was crucial since La Lagune needed someone with experience and talent to steer it in the right direction, whilst taking Caroline Frey under his wing and dispensing his own considerable wisdom. Dubourdieu was the right man at the right time. The 2003 is followed by a strong 2004 and then a 2005 La Lagune that marks the real return of the estate, surpassing almost every preceding vintage. We finally find the terroir coming through, the tannins achieving more fineness and more complexity. Both the 2009 and 2010 La Lagune are resounding successes, the latter vintage one of the finest ever produced at the estate. “The 2009 and 2010 are the first great vintages where we had all our technique in place in terms of work in the vineyard,” Caroline opines, and that is clearly translated into the wine. The 2012 La Lagune attests that in more difficult vintages they can conjure an excellent wine. Of course, the estate is not infallible. I had my doubts about the 2015 La Lagune since I tasted it in barrel and now in bottle, comparing them side-by-side I prefer the excellent 2014. I cannot explain why their 2015 does not make the grade, then again, if winemaking is an art, then one must accept the odd failure. I wonder whether it is due to the high percentage of Petit Verdot? Caroline mentioned that she feels it might not fit into the blend. On the other hand, the wonderful 2010 contains 10% Petit Verdot, so it may be subject to the vagaries of the season. You might notice one curious addition: the 2015 Les Cabernet Sauvignon. Hitherto, I had no idea that La Lagune made a special varietal blend from the Cabernet Sauvignon. Just two barrels are made, so keep an eye out for it. Alexis Lichine once described La Lagune as “combining Médoc elegance with Graves earthy richness”. I would not disagree with that view, although I find that it is in the last 15 years that this has been reflected in the wines. La Lagune is indeed a very attractive mélange between the two appellations, and the reason why it has so many devotees. Never really a powerful wine, La Lagune has semblances towards Margaux in some vintages with the depth and tertiary inclination of Pessac-Léognan. That is my own personal take. Once the vertical is completed we walk out into the vines under an iridescent blue sky, a light breeze wafting from the Gironde. Caroline’s daughter concentrates upon picking a handful of purple berries. She gently squeezes them between her small fingers and pops the forthcoming vintage in her mouth, chews the pips to assess its ripeness. There is intense concentration: this is serious for mother and daughter alike. 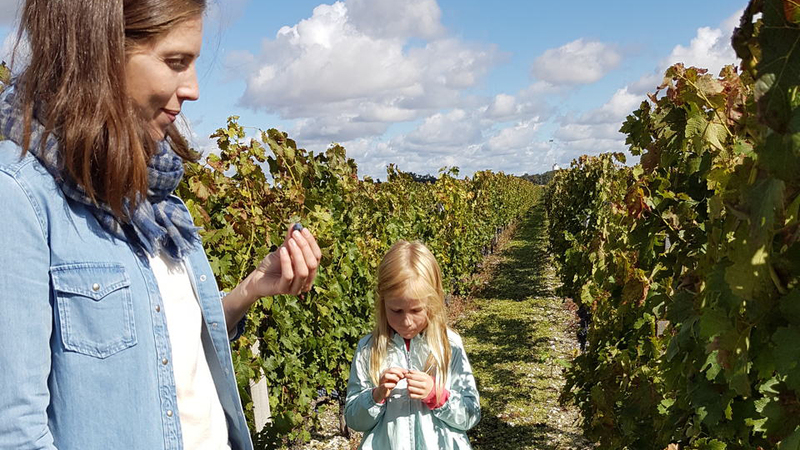 Caroline remarks that the grapes need a few days more to fully ripen – her daughter is so precocious that I am surprised she does not advise a picking date. We bid farewell. I keep thinking of her daughter sketching with her crayons whilst I was busy tasting through those vintages of La Lagune. Caroline was not distracted, but, like any parent, she could not help glancing over from time to time. Many winemakers claim to love their vineyard like their children but come on...that is just an affectation. There is no comparison. It is clear what is the most important thing in Caroline’s life, as it should be. That said, it is evident that the acquisition of La Lagune by the Frey family has had a positive impact upon the quality of the wine. La Lagune is more consistent today than it was in the 1980s and 1990s. In great vintages, it can be mightily impressive and, in recent vintages, quite sophisticated as well.